Showing results for tags 'board game'. 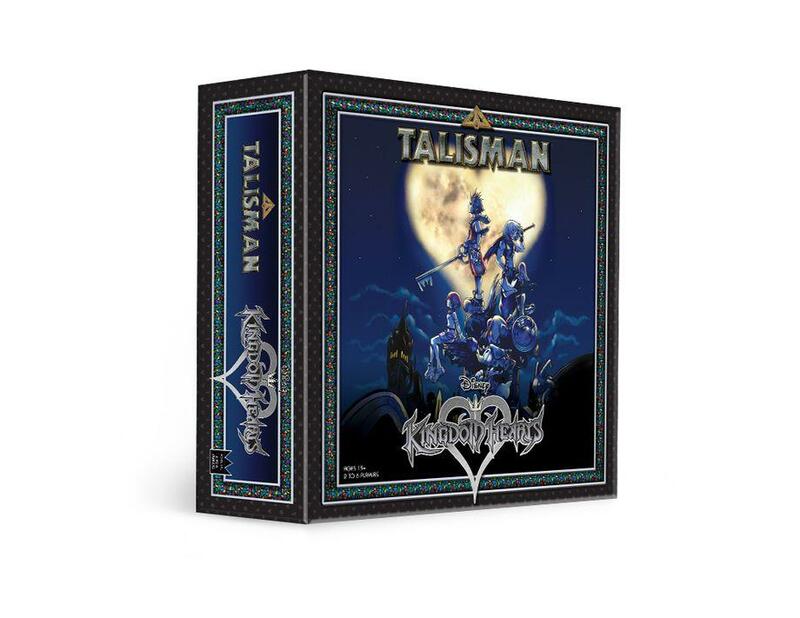 Contrary to any possible expectation, today The OP (aka USAopoly) announced the development of Talisman: Kingdom Hearts Edition, which is coming later this year. The OP is known for publishing other licensed version of popular classic games based on pop culture 3rd party properties. In this case, Talisman, an acclaimed board game published by Games Workshop, which is at its fourth edition, will feature a whole new Kingdom Hearts-inspired version. The game will be playable for two to six players, and the selectable roles are going to be Sora, Kairi, Riku, King Mickey, and Goofy. The players’ main goal will be to “acquire the needed Strength and Magic to seal the Door to Darkness and keep Heartless from consuming the communal worlds”, according to an official press release. The board map will still feature three different regions, with custom six-sided dices, tokens, and cards, both the aspects of the original game and offering a new kind of Disney-based experience. Iconic locations such as Neverland and Traverse Town, a Munny-themed currency, and Gummy Paths, will mark the main characteristics of what is going to be the first Kingdom Hearts board game. Are you looking forward to the board game release? Let us know if you're going to buy it in the comments! Which board game would you like to see a Kingdom Hearts version of? The thought of Kingdom Hearts Clue makes my head spin. Which of the endless Xehanorts is the real murderer?